Let us know if we missed something by posting a comment! Credited by many musicians with anticipating the World Music movement by incorporating cadences of many cultures in his compositions as early as the late 1950s, Charles Lloyd describes his music as having always “danced on many shores.” As Peter Watrous wrote in The New York Times, “Mr. Lloyd has come up with a strange and beautiful distillation of the American experience, part abandoned and wild, part immensely controlled and sophisticated.” From the moment he first came to prominence as the young music director of the Chico Hamilton Quintet in 1960, Lloyd began to take audiences on journeys that traversed enormous distances. Over nearly four decades, his compositions have punctuated the post-bop period, embraced the traditional music of a host of world cultures and ciphered the psychedelic 1960s with avant-garde improvisation. Lloyd was one of the first jazz artists to sell a million copies of a recording ( ‘Forest Flower’) and then he surprised us by walking away from performing just at the point that he was dubbed a jazz superstar. Actually he was just following a trajectory that was taking him closer to the essence of the music he was hearing. Many jazz fans dismiss saxophonist and flutist Charles Lloyd as a poseur, a “Coltrane lite” flower child who capitalized on an aura of spiritualism when it was fashionable in the ’60s but never acquired the chops or individuality of the master he was imitating. In some ways these people have it right. Lloyd can definitely sound like a noodler, and he uses a number of Coltrane gestures. There is the metallically shimmering cry on tenor, the Middle Eastern exoticism on taragato (a Hungarian double reed) that mimics Trane’s keening soprano saxophone and the habit of running up to an accented melody note with a dramatic flourish. There’s also a lot of Eric Dolphy in Lloyd’s flute playing, particularly his sudden flurries and use of odd intervals. But Lloyd’s quartet connects with audiences in a way that somehow makes such purist objections seem merely petulant. His upcoming appearance in Seattle with a new quartet featuring pianist Jason Moran, bassist Reuben Rogers and drummer Eric Harland, courtesy of Earshot Jazz, is most welcome. Lloyd’s quartet performs Monday at the Triple Door. The start of another weekend is here. What are you going to hear tonight? Bellevue Jazz Festival tickets for the Branford Marsalis Quartet and Spanish Harlem Orchestra will go on sale today, Friday, March 28, 2008, at 10 a.m.
Three-time Grammy Award winning saxophonist and Marsalis Music label founder Branford Marsalis will lead the quartet in a Friday, May 23, performance at Meydenbauer Center. The Spanish Harlem Orchestra (SHO), a 13-member Latin jazz ensemble and Grammy winner directed by musician and producer Oscar Hernández, will perform Saturday, May 24, at Meydenbauer Center. Tickets for both performances will be available online through TicketsWest (http://www.ticketswest.com) and at participating QFC and Rudy’s Barbershop stores. A complete line up of Bellevue Jazz Festival events is also online at http://www.bellevuejazz.com. Tickets for the Branford Marsalis Quartet will range from $20 for reserved seating to $75 for Golden Circle table seating near the stage. Spanish Harlem Orchestra tickets will run from $30 for general admission to $60 Golden Circle table seating near the stage. The Bellevue Jazz Festival, produced by the Bellevue Downtown Association, begins April 9 with an all-star line-up of regional artists performing free Wednesday night concerts throughout Downtown Bellevue. Audiences will hear vocalists Greta Matassa and Gail Pettis, trumpeter Thomas Marriott, percussionist Ben Thomas, Gypsy jazz band Pearl Django and the Brazilian jazz trio of Jovino Santos Neto. San Francisco vocalist Kat Parra is in town this weekend performing at Bake’s Place. SF Bay Area based vocalist Kat Parra has leapt beyond the boundaries of the typical latin jazz singer. With her thirst for the exploration of world rhythms and tonalities, she has developed a style of music that encompasses sounds that both transcend and bend the stereotypical definition of latin jazz. She has incorporated not only afro-cuban music, but also added afro-peruvian, middle eastern, south american folklore as well as nueva trova. Most interestingly, she has also been developing, along with her musical director Murray Low, new arrangements of Sephardic music–the music of the Spanish Jews sung in the dying language of Ladino. After 25 years, almost 26 Bud’s Jazz Records is going out of business…. I’ve done my best to keep it going but don’t want to go into debt any more than I already am.. If there is anyone interested in taking over (buying) a jazz icon in Seattle let us know.. Otherwise we will start sales in the 2nd week in April to sell all the stock… 2nd week 10% 3rd week 20% 4th week 50% till everything is sold…. What ever is left will be donated to the Seattle public schools…The store will be on regular hours till the end of April … Open 7 days a week…If you have consignments with us they will need to be picked up. After nearly 26 years as the homey basement hub and hangout for Seattle jazz musicians and fans, Bud’s Jazz Records is going out of business. “I just can’t keep it going anymore,” said James Rasmussen, a Seattle trumpet player and leader of the band the Jazz Police; Rasmussen bought the store from founder Bud Young in 2001. Bud’s Jazz Records, at 102 S. Jackson St. in Pioneer Square, will be sorely missed by the local jazz community. Known for its unstinting support of local musicians, the store consistently plugged discs by Seattle artists — often unknown — and piles of their CDs crowded the counter. Matt Jorgensen +451 will be celebrating the release of their new CD, Another Morning, at the Triple Door Mainstage on Thursday, March 27 at 7:30pm. Yes, Bill Barton said it: this was a do-not-miss event! This sold-out CD release party for Hadley Caliman’s Origin release, Gratitude, was a fine representation of the richness of the Seattle jazz scene infused with lots of New York energy. Everyone in the band was on their toes and it showed in creative soloing, interesting arrangements and a wonderful ensemble dynamic. Here is my version of the night as experienced from the big round table at the back of Tula’s (which was also the locus of a cool between-set hang). Hadley Caliman is a Northwest treasure because he is a great musician with a creative voice on the saxophone. To my ears, he is grounded in the post-bop ‘60s sound of Joe Henderson and John Coltrane, which for me, is the benchmark of modern tenor saxophone. He veers towards Coltrane on the up-tempo tunes, while his phrasing and tone are more Henderson-esque. The first set consisted of selections from Caliman’s new CD and included: “Back for More,” a 6/8 blues by Marriott; “Invitation”; “Linda” by Caliman; “If,” a Joe Henderson blues; and ending with the first tune Caliman ever wrote, entitled “Comencio.” The set was marked by concise, energetic playing and there were, in fact, no long-winded solos all night. It’s a quiet Monday night for jazz, but let us know if we missed something by posting a comment! Some performances transcend the whole concept of music as art or entertainment and reach an entirely different level. Love, trust, respect, communication and joy in the act of creation can touch the heart in ways that can’t be described in words. In over 30 years of attending concerts, there aren’t too many that have moved this listener that deeply. Friday night’s CD release party for Hadley Caliman’s Gratitude at Tula’s in Seattle is one of them. One doesn’t go to a concert, theatrical production or dance performance for something mundane. One should leave transformed, renewed, healed, seeing the world through new eyes, hearing harmony and consonance everywhere, feeling like a newborn baby who’s experienced beauty for the first time. Every once in awhile this ideal is met. At age 76, Caliman is a Pacific Northwest treasure, a master of his craft who exudes humility and humanity. Now retired from teaching at Cornish College of the Arts, he has by no means retired from sharing his muse. An inspiration to several generations of players, he ranks among the living giants of the tenor saxophone in the world of jazz. There aren’t too many other cats out there with a track record comparable to his. He’s in the rarefied company of Chicago legends Von Freeman and Fred Anderson in this regard. One of the reasons that this was a do-not-miss event hinged on the appearance of vibraphonist Joe Locke, who has a sizeable following in the Seattle area. He’s no stranger to the Pacific Northwest, having performed at the Ballard Jazz Festival with Geoffrey Keezer and in Port Townsend. His visits are rare enough that this was an occasion. Locke is a true virtuoso on his chosen instrument. Sometimes a prolix improviser, he can spin off dizzying flights packed with so many audacious ideas that a comparison to Art Tatum or Cecil Taylor might be in order. Everything has a clarity and pinpoint articulation that can boggle the mind. Dazzling technique doesn’t amount to a hill of coffee beans in the bigger picture though. It’s what he does with it. There is deep spirituality, rhythmic intensity and true story telling in his playing. He’s fun to watch as well as to hear. It’s obvious that he is in that famous “zone” whenever he’s onstage. An animated, physical, constantly moving presence, his facial expressions continually mirroring the process of spontaneous creation, mouthing along with labyrinthine passages, once in awhile scatting along sotto voce, he doesn’t just play the music, he inhabits it. The man’s a perpetual motion machine. Those 12-hour days playing on the streets of New York City with George Braith definitely paid off when it comes to stamina and focus. All of the musicians who played at Tula’s are on Gratitude, with the exception of Seattle’s ubiquitous Matt Jorgensen on drums, replacing Joe La Barbera. Jorgensen is an aggressive, polyrhythmic drummer, and his entrainment with Locke was a joy to behold. They were Locked in, if you’ll pardon the expression. Thomas Marriott produced the session for Origin and his brother David provided the superb arrangements. Particularly during the second and third sets this evening, the former’s trumpet and flügelhorn playing was packed with joie de vivre and a sense of adventure. There was no holding back. Marriott can be a very subtle player, on occasion appearing to backpedal and eschew grandstanding. This is one of his strengths. Better that than the effusive bravura of someone like James Carter, who tends to play everything he knows in the first ten minutes and then tries to figure out the next step. This evening’s music found Marriott more willing to teeter on the edge of the abyss than he had been at other live performances I’ve heard. He never fell over. Bassist Phil Sparks is a long-time Caliman associate, and their simpatico communication is obvious. His time is rock-solid, an essential ingredient in a music that takes as many rhythmic twists and turns as the arrangements on Gratitude do. He also has a full, deep, rich sound and beautiful intonation; no slipping and sliding to reach the “right” note here. Attempts at a play-by-play would be pointless. It was the experience in total that made such a strong impression on me. I have to single out Caliman’s infectious composition “Joe Joe Dancer Bossa Nova” though, which included some of the most memorable solo work from all hands and his radiant interpretation of “Lush Life” in quartet format. Caliman obviously knows the lyrics to this heartbreakingly beautiful Billy Strayhorn classic, and his tenor saxophone exuded saudade in an emotional solo that juggled the world-weary sentiments of the song with a life-affirming optimism. Easter Sunday…a good day for some cozy rainy day jazz, in and out of the house. Now that you’re warmed up from last night, head on out for more great jazz! Know of anything else tonight? Send it our way by posting a comment. The Cornish Music Series is proud to present Building Bridges with the Jim Knapp Orchestra, featuring the premiere of “Movements for Flute and Jazz Orchestra,” commissioned by Cornish College of the Arts to honor Knapp’s role in the founding of Cornish’s jazz program 35 years ago. When Jim Knapp joined the Cornish faculty in the early seventies, the Music Department had a curriculum that included some jazz classes, but only as a supplement to the basic conservatory-type curriculum. 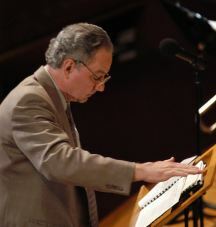 Recognizing a need, Knapp spearheaded an effort to enhance the presence of jazz music at Cornish. Gradually, the increased class offerings developed into a full program. New faculty such as Gary Peacock, Chuck Deardorf, Don Mock, Dave Peterson, Denney Goodhew, Phil Snyder, Julian Priester, Art Lande, Jerry Granelli, Jay Clayton, and many others were brought on board, and a jazz curriculum was established which remains essentially intact to this day. In honor of his efforts to propagate the Cornish College jazz program, composer Jim Knapp was commissioned to write a piece celebrating his rich history with the college. “Movements for Flute and Jazz Orchestra” will be performed by faculty member Paul Taub and the Jim Knapp Orchestra. The weekend is here! Big night tonight at Tula’s and beyond so make your plans now for a night out.